Did you know they make great headphones in Romania? No, we’re not talking about that new Sennheiser’s factory. We’re talking about the Meze Audio, a Romanian headphone/earphone manufacturer based in Baia Mare in Northwest Romania. The company was founded in 2009. They’ve struggled a few years to make a breakthrough, but after the introduction of 99 Classics in 2015, Meze has become a recognizable name in the audio industry. 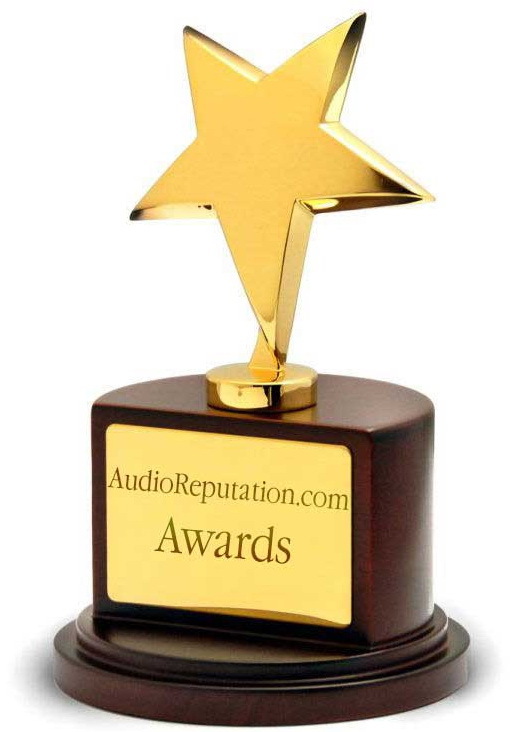 99 Classics received many awards and were praised by many customers as one of the best-looking and best-sounding headphones in their category. The only problem was their price. It’s not like they were crazy expensive, but most people don’t really want to spend more than $300 on a pair of headphones. So, the people from Meze Audio decided to expand their reach and make a cheaper version of their successful 99 Classics model. The new version was named 99 Neo and that’s the headphone model we are about to review. They are priced around $200 which is a significant difference compared to 99 Classics. For $100 less, you will get the same look, design, and build quality with only one visual difference. 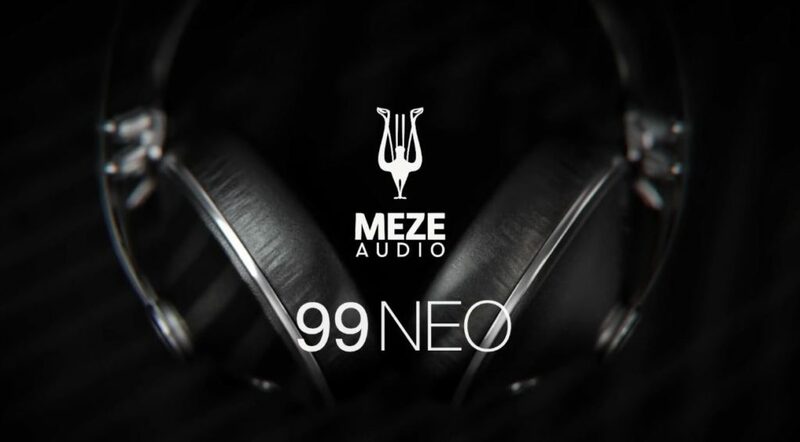 If you want to save 100 bucks and you really like the design of the 99 Classics, Meze Audio 99 Neo is a great alternative. 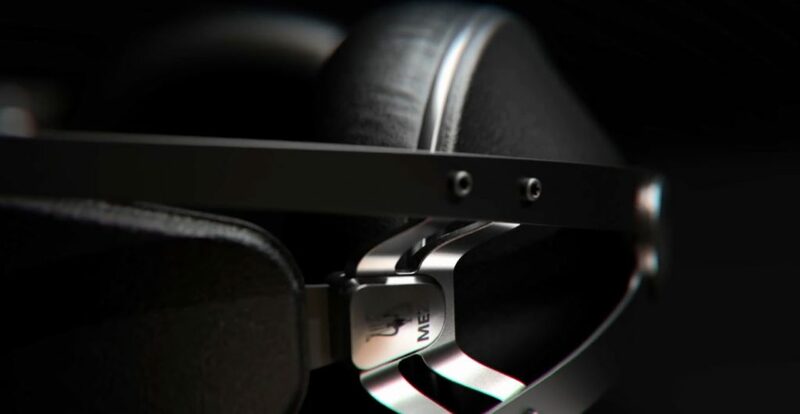 Meze Audio 99 Neo are one of the best-looking headphones under $200 on the market. They basically look the same as their predecessor – the 99 Classics. The only difference is that the cups are made of ABS plastic instead of wood. Naturally, the wooden cups look more sophisticated, but those plastic matte black cups don’t look bad at all. We were truly dazzled by the design of 99 Neo. The manufacturer was very meticulous about the appearance and paid attention to every little detail. The result is this beautiful headphone model. The headphones are incredibly solid. There are a lot of metal parts and everything is replaceable/serviceable. Also, Meze paid a lot of attention to comfort. 99 Neo headphones are great for long listening sessions. Meze Audio 99 Neo headphones deliver very pleasant sound with a slight emphasis on the mid-bass frequencies. The mids are dynamic and rich. The highs are nicely incorporated with the mids. They are clear and detailed, and never too bright or painful. The headphones don’t really deliver perfectly flat sound, but it’s very pleasant and enjoyable. Meze Audio 99 Neo headphones represent the combination of breathtaking design, spectacular build quality, and exciting sound signature. If you are in the market for new headphones and you are willing to spend at least $200, you should definitely consider Meze Audio 99 Neo, especially if you are into EDM and R&B. Inside a nice-looking premium box, you will find a hard EVA carrying case. The headphones and all the accessories are placed inside the case. Along with the headphones, you will get a detachable Y-shaped 1.5m-long braided audio cable with in-line controls and mic, 6.3mm adapter, an airplane adapter, carrying pouch (for the cables), short instruction manual, and 1-year warranty. Balanced cable and 3m-long regular cable are sold separately. There’s literally nothing we would like to change when it comes to design. Meze Audio 99 Neo headphones are simple yet incredibly elegant. It’s the kind of design that really stays carved in your mind. I guess you could say they are beautiful in their simplicity. The earcups are cone-shaped. Unlike the cups on 99 Classics, these are made of ABS plastic. The cups have a matte black finish and don’t look cheap. Naturally, wooden cups look more sophisticated, but the plastic ones are not bad at all. This difference also has some impact on the sound signature and we will discuss it later. All the other parts are literally the same on both headphone models. The 2-piece headband is made of chromium-manganese alloy. A self-adjusting stretchable head strap with a fake leather finish is attached to the headband and it’s easily replaceable. The headphones are solidly built. Everything looks strong and very durable. The best thing is – if something breaks, the parts are user-replaceable and you don’t have to bring your headphones to the licensed service store. The parts are not glued together – they are all screwed and you can easily unscrew them and install the spare parts. We have no major complaints when it comes to comfort. The headphones are super-light. They weigh only 260g (9.2oz). The earpads are thick and soft and the earpad cavity is large enough for all kinds of ears. They have a leatherette finish which, in combination with the closed-back design, could cause some ear sweating after hours of use. That’s our only complaint. The headband padding is not thick but it’s actually quite comfy. The weight is perfectly distributed across the head – there are no obvious and painful pressure points or anything like that. These headphones are perfect for long listening sessions. The cable that comes with the headphones features two 2.5mm jacks for the earcups and one 3.5mm jack for the audio source. There’s also a ¼-inch adapter so you can plug them wherever you want. The cable is not proprietary. If you want a longer cable or a balanced cable, you will have to pay extra. Meze Audio 99 Neo are made for mobile use. Their impedance is 26Ω and the sensitivity is pretty high (103dB) which makes them really easy to drive. You don’t need any amplification. You will get a slightly tighter bass with some headphone amp, but it’s absolutely unnecessary. They are already punchy enough. Compared to Meze Audio 99 Classics, 99 Neo headphones deliver bassier and a little bit warmer sound. The bass is emphasized, especially the mid-bass frequencies, but it’s not overpowering or boomy. If some bass-heavy music is played, the bass could interfere with the lower mids but not to the extent to make the low-midrange tones muffled. The midrange is just slightly recessed but still very clear and nicely balanced with the bass. The mids are strong, dynamic, and coherent. The vocals, especially the female vocals are nicely defined and clear. The transition between the bass and midrange is smooth and very pleasant. Treble reproduction is not the greatest highlight of these headphones. It definitely lacks some detail and sparkle but it’s still good enough to add a nice vibe to the sound signature. The highs are not too bright and don’t cause any fatigue. We haven’t noticed any sibilance, not even at high volumes. Considering the fact that these are closed-back headphones, the soundstage is surprisingly wide. The separation between the instruments is not impressive and the imaging is not the most precise but you can still pinpoint the instrument position. Everything gets a bit jumbled up when there are many instruments involved (listening to a symphony orchestra, for example), but that’s pretty much expected from a pair of closed-back headphones. Closed-back design has some advantages, too. It improves noise isolation, reduces sound leakage, and makes these headphones suitable for outdoor and mobile use. They isolate (passively) a great amount of ambient noise. When it comes to sound leakage, 99 Neo deliver above-average performance, but they still leak a certain amount of sound at high volumes. When listening to music at 80% volume (which is, by the way, really loud), the person sitting next to you will hear what you are listening to. The mic performance is satisfying but not without issues. You can have a nice conversation in a quiet or moderately loud environment, but it’s going to be harder in a noisy environment. At a $200 price point, the competition is huge and there’s a great number of viable alternatives. If you are looking for more accurate/balanced sound and wider soundstage you should check out DT 990 Premium Edition or Sennheiser HD 599, and if you want equally stylish, fun, and easy-to-drive headphones, V-MODA Crossfade M-100 is a great option. 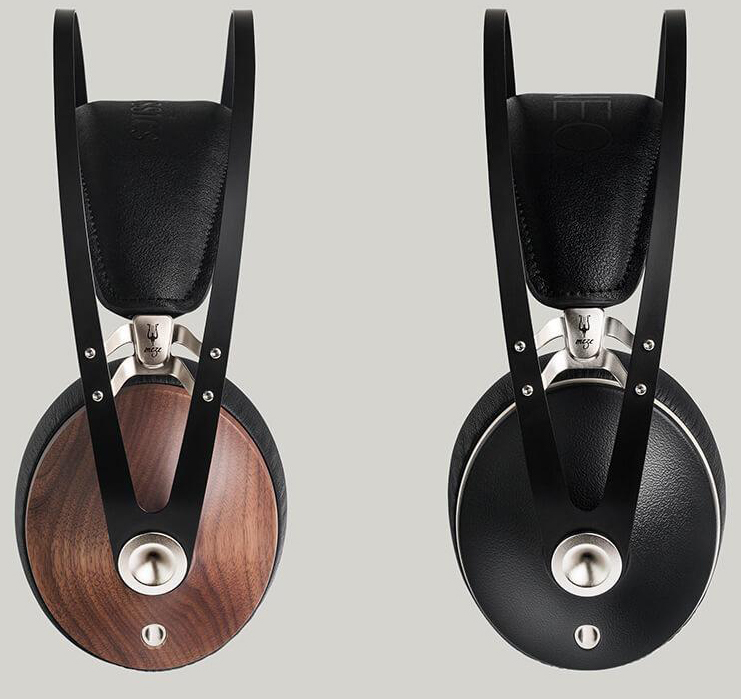 DT 990 headphones are available in three versions – 32Ω, 250Ω, and 600Ω. The easiest to drive and the best one to compare with the 99 Neo is the 32Ω version. The price difference between the two models is minimal. DT 990 headphones feature that familiar Beyerdynamic design. They are not better-looking than the 99 Neo, but they are more capable in terms of sound quality. Unlike 99 Neo, these are open-back headphones which makes a great difference. Even though they are easy to drive, they are not made for outdoor or mobile use. They are made for critical and non-critical listening at home (indoors, in general). The cable on DT 990 is longer than the cable on 99 Neo and it’s not detachable, which makes them less portable. DT 990 headphones deliver an enjoyable sound signature with a slightly elevated and powerful bass, detailed, crisp, and dynamic mids, and slightly brighter (but not fatiguing) highs. They also have a much wider soundstage and deliver more precise (almost 3D) imaging. 99 Neo headphones deliver much better noise isolation and don’t leak as much sound as DT 990, but that’s pretty much expected (closed-back VS open-back). In terms of design and build quality, this is the only out of three models in this section, that can really compete with the Meze Audio 99 Neo. Just like 99 Neo, Crossfade M-100 headphones feature a unique and very likable design with those hexagonal cups and metal construction. They are a bit pricier than the 99 Neo and if you are into bass-heavy sound, they are worth the extra money. Crossfade M-100 are also easy to drive (low impedance and high sensitivity) and can be used outdoors and on the go due to closed-back design. The cable is very strong and it has inline controls with mic, just like 99 Neo. 99 Neo headphones are a little bit lighter and more comfortable. Crossfade M-100 are bulkier and have bigger earpads. If you have a larger head, you might find M-100 more comfortable. 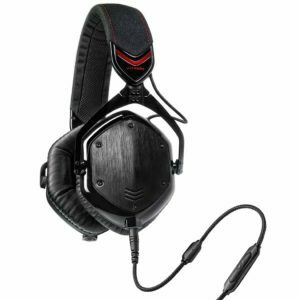 All the V-MODA headphones have that recognizable bass-heavy sound signature and M-100 are not different. We’ve said that 99 Neo headphones have a slightly elevated bass, but these are even bassier. It’s the kind of bass that tends to overpower the lower mids a lot. 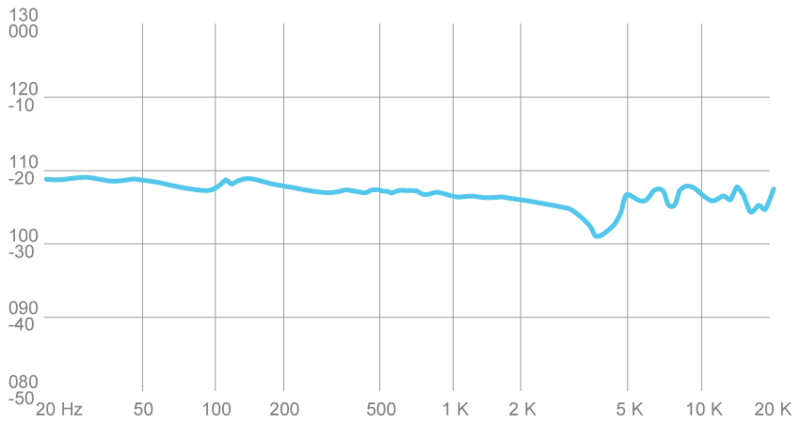 The low midrange frequencies are slightly recessed while the high mids are slightly elevated. Treble reproduction is clear but lacks some detail and sparkle. We prefer the sound of 99 Neo headphones because it’s more balanced and warmer, but if you are crazy about the bass, you will be pretty happy with the V-MODA Crossfade M-100. 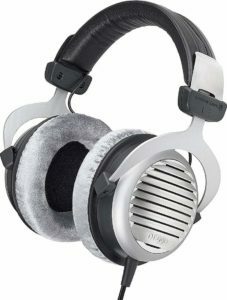 M-100 headphones are not as good as 99 Neo when it comes to noise isolation and sound leakage. They leak more and isolate less. 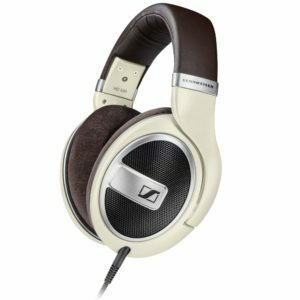 HD 599 are within the same price range ($200), but they are different in many ways. Most of the differences are caused by the open-back design of HD 599. HD 599 look premium, but not as premium as 99 Neo. Also, they are made of plastic which makes them less durable and less serviceable. In terms of comfort, we have absolutely no complaints about HD 599. The earpads are large, thick, and soft. The headband is comfy, too. They are slightly heavier than the 99 Neo, but you won’t feel any extra weight. HD 599 are harder to drive but that’s not the biggest problem when it comes to mobile use. They are open-back headphones which means that they don’t isolate any noise and leak a lot of sound. They are made for critical/non-critical listening at your home (indoors use). HD 599 headphones deliver more balanced and more detailed sound than the 99 Neo. Sub-bass frequencies are a little bit recessed but still impactful while the mid-bass and upper-bass frequencies are slightly elevated and add just a little bit of punch. That elevation in the upper-bass region makes the low mids a bit muddy. The rest of the midrange is very accurate, very detailed and dynamic. It’s almost perfect. The high-end reproduction is consistent and very clear. There’s a small peak between 9 and 10kHz which could cause some sibilance, but it’s not too sharp or painful. Unique and attractive design, remarkable construction quality, great comfort, and a joyful sound signature at an affordable price – that’s what Meze Audio 99 Neo is all about. You can hardly get a better look and better build quality at this price point. 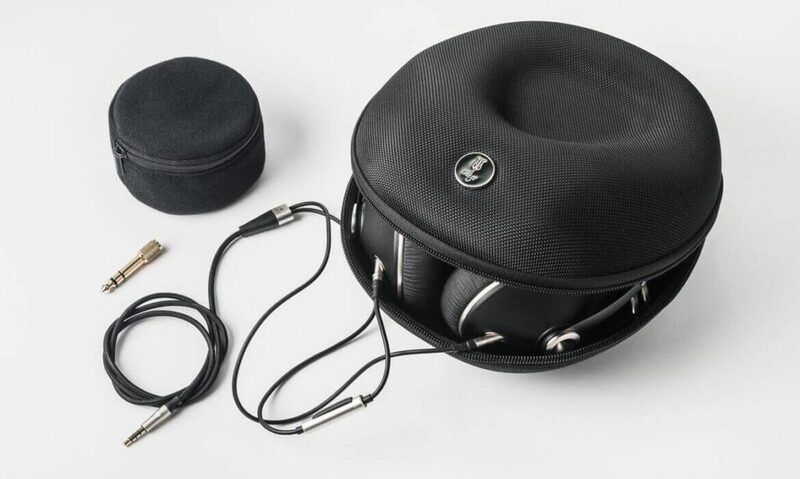 You could find some headphones with a flatter or more balanced frequency response, more detailed sound and wider soundstage, but there’s no way you could find the headphones that are, at the same time, equally beautiful, durable, or comfortable. In other words, you will have to make some compromises. If you are looking for a more balanced, more detailed sound and wider soundstage, you should try Beyerdynamic DT 990 or Sennheiser HD 599. Unfortunately, they are not suitable for mobile use because of the open-back design and because they are harder to drive and require amplification. On the other hand, if you are looking for something equality stylish and durable, but slightly bassier, you should try V-MODA Crossfade M-100. Really nice closed back headphones!